We have broken these plants down in to groups so it easier to find the right plant for the correct area of your tank, these are listed below. 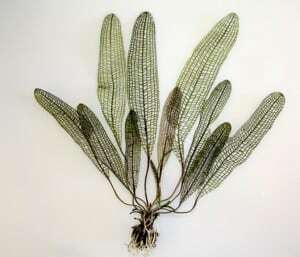 Alternatively you can browse All Tropical Plant Profiles. Planted aquaria are often seen as pieces of art and most aquarists will try and replicate a certain 3D biotype of aquarium. 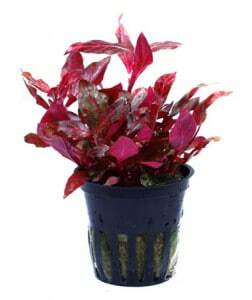 Background plants are often fast growing tall plants which will sit at the back of the aquarium as the last thing you will see when gazing in to a planted aquarium. By using a lot of background plants you can create the illusion that the fish tank doesn’t end where you see these background plants so a thick luscious background plants will give the viewer the impression that there is more beyond. Due to their nature too, these can create a good and safe hiding place for many fish in the home aquarium. 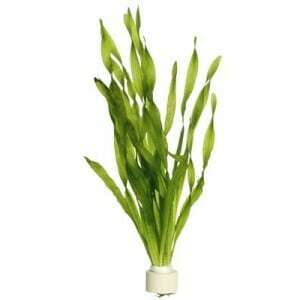 Often used to give the planted aquarium a grass or canvas feel are carpet plants. You will see form these carpet plants profiles that they are used frequently to fill in the gaps between taller plants and will normally be short but thick plants which cover much ground but do not grow too high. These are great for corydora types of tropical catfish which can burrow through them finding bits of food which may have made it to the bottom of the fish tank. 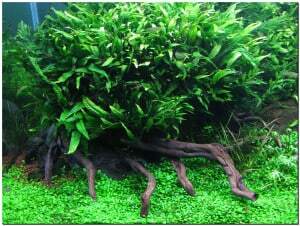 Carpet plants are often used by the best aquascapers to mark out paths and trick the mind in to thinking a tank may be deeper and to create a much more 3 dimensional are within the planted aquarium. 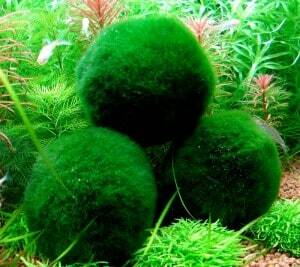 Mosses are sometimes just balls of a certain type of algae which are generally beneficial to the overall health of the home aquarium so not only can they be aesthetically pleasing, they also serve a practical purpose too. 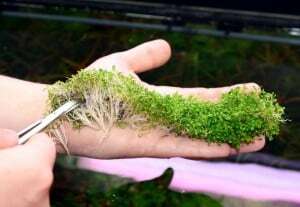 These plant profiles of mosses will go in to further detail of the types of mosses which are most commonly used in the home aquarium and help to explain the best way of keeping them rich and healthy.